"I find it very rewarding to be able to help patients of all ages achieve and maintain functional, beautiful smiles. I have always had a deep desire to help make a positive difference in peoples' lives. My goal is to make sure my patients have great dental health and a dental experience that is comfortable and fun!" Dr. Tillman attended Baylor University and received his dental degree from the University of Texas Dental Branch in Houston. After serving two years as a dental missionary in the West African country of Benin, he completed a general dentistry residency at St. Anthony Hospital in Oklahoma City. He then returned to Fort Worth, where he has been in private practice since 1993. Dr. Tillman has completed over 2500 hours of post graduate dental education, including courses in comprehensive dentistry through the prestigious LD Pankey Institute and The Dawson Academy, in addition to a year-long cosmetic training program at Louisiana State University, two years of comprehensive orthodontic instruction through the American Society of Orthodontics, and more than three years of education in implant dentistry and bone grafting through the Misch International Implant Institute and Dr. Arun Garg. Dr. Tillman has been listed multiple years as a "Best Dentist" in Fort Worth Magazine and a "Super Dentist" in Texas Monthly Magazine. 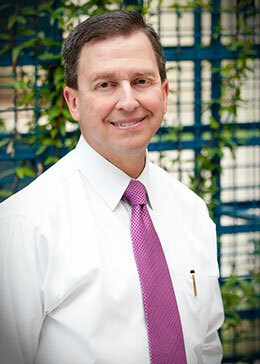 He has received a Fellowship and Mastership through the Academy of General Dentistry and was the third dentist in Texas to receive a Lifelong Learning and Service Award. He is also a Fellow of the International Congress of Oral Implantologists, a Fellow of the Pierre Fauchard Academy, and a Fellow of the International College of Dentists. Recently Dr. Tillman received a Fellowship from The American College of Dentists and in October, 2014 Texas Governor Rick Perry appointed Dr. Tillman to the Texas State Board of Dental Examiners where he will serve as 1 of 8 dentists. Dr. Tillman began his career as a dental missionary in the West African country of Benin and has taken dental mission trips to Honduras, Haiti, and Mexico with his church, Birchman Baptist Church. Even today, he is committed to serving his local and extended community by participating in Give Kids a Smile, Save a Smile, Cancer Care of Fort Worth, and Texas Mission of Mercy. His office also has a yearly blood drive, and the team delivers Thanksgiving meals to appreciative patients. He is involved in several volunteer boards of directors. In his free time, Dr. Tillman, his wife Julie, and their three children enjoy traveling and playing team sports in their local community of Aledo. Dr. Tillman also enjoys running and going to movies.